I made this card for a fishing buddy of my husbands who just had back surgery. 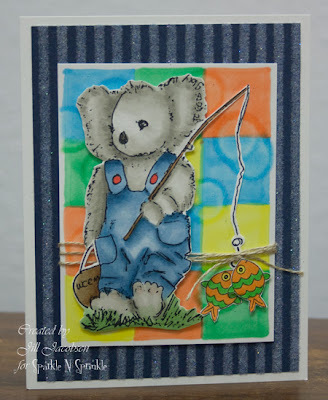 The sentiment that I stamped on the inside of the card is "Hope your "Koala"ty" of life get better soon"...how cute. Great sentiment and am so impressed with all the details you used!